Sea Mercy has witnessed the incredible beauty of the South Pacific and also how vulnerable and at risk the South Pacific communities are to natural disasters. 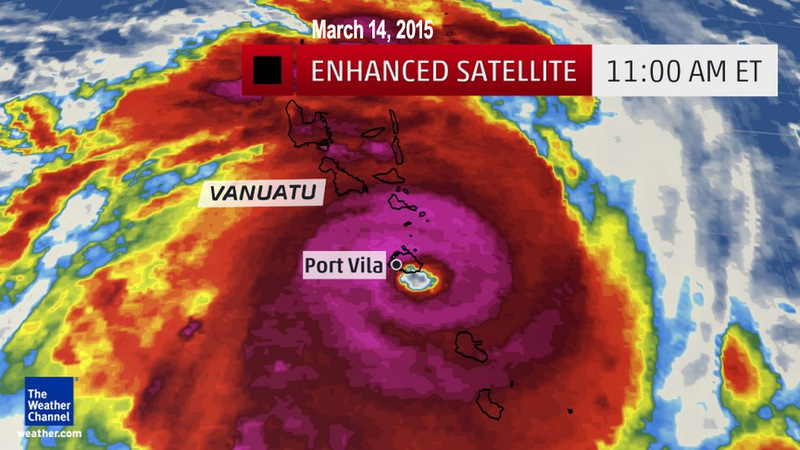 On March 14, a level 5 Cyclone named Pam devastated the island nation of Vanuatu leaving the 250,000+ people on their 75 islands in need of food, water, shelter and a future. Even as the reports were still coming in, Sea Mercy once again answered the call for help by sending our Disaster Relief (DR) Fleet anchored in Fiji to assist the people in Vanuatu. Loaded with food, shelter, tools, and medical supplies, we sent three vessels and crew, along with three doctors to the Tafea Province. We sent another 4 vessels north to assist the Shefa Province. We plan to operate our DR vessels in Vanuatu for as long as the Ministry of Health and International aid organizations need us to deliver their supplies and staff to the remote islands. We're asking those that desire to help, to please make a donation to help us continue to purchase the food, shelter, tools, seeds and medicines needed to give them hope again. Email us with any questions. Donations: Sea Mercy is a US based 501(c)3 organization (Since 2012) and all donations are tax deductable. We use the secure PayPal processing for credit card and PayPal donations. Sea Mercy is no stranger to such South Pacific tragedies. 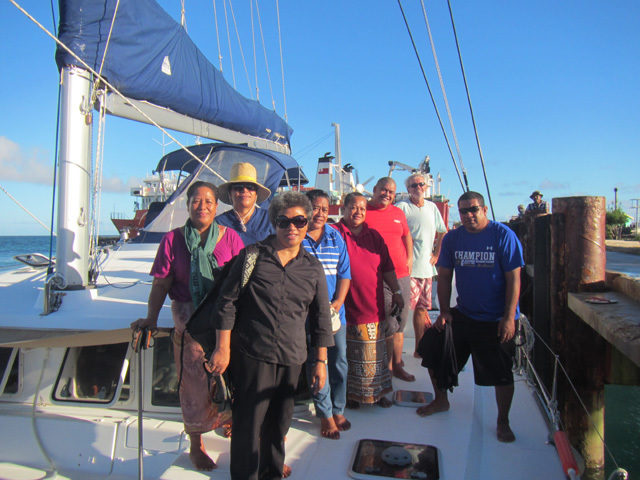 Last year, following cyclone Ian (another force 5), Sea Mercy's DRFleet spent 4 months in Tonga delivering food, water, international aid, equipment and medical and disaster relief staff to the remote islands group of Ha'apai. We sailed from Fiji with over $175,000 in donated medical supplies (see below video) and because of the destruction to their local vessels, we were one of the only Disaster Relief organizations that had a service delivery platform that could consistently reach these devastated remote islands. Why is Sea Mercy so important to the relief work? 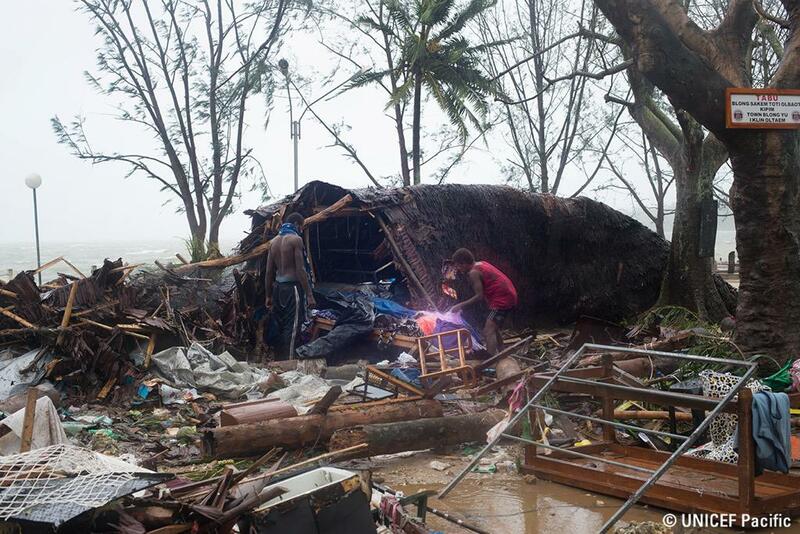 CARE Vanuatu has confirmed Cyclone Pam has left Port Vila a scene of complete devastation, but says Vanuatu's outer islands could be worse. "Some have been flooded and some evacuation centres have also lost parts of their roofs too, but those on the outer islands they certainly will be feeling the brunt of this as they just don't have the facilities as we do in Port Vila"
Like in Tonga, it is not a matter of the International aid organizations not wanting to deliver these desperately needed emergency supplies to the outer islands, it is a matter of not having access to a service delivery platform (damaged or destroyed) that can quickly and consistently deliver the much needed aid and supplies available on the primary islands to the remote islands and villages. Even the roads connecting the remote villages are damaged or destroyed and aid cannot get to where it is needed. Sea Mercy's DR Fleet does not have the same "infrastructure" limitations and is able to sail the supplies directly to the coastal villages on the primary and remote islands. "Our sailing catamarans and their shallow drafts can enter almost any 'reef protected' remote island lagoon that are so common in the South Pacific. We can then deliver the supplies right to the beach in front of the village. Because our primary mode of power is wind (sailing), our fuel needs are minimum and allow us to operate for weeks without refueling." We encourage you to make a donation to either the international relief organization serving the primary islands in Vanuatu, or to Sea Mercy to help meet the needs on the remote islands. Your donation will directly support our DR Fleet and operations for the remote islands. Spread the Word - Please encourage your friends and co-workers to participate (donate) in helping us help the people in Vanuatu get through this difficult time. Follow us on Facebook! Number of Vessels & Length of Service? The devastation in Vanuatu is far greater and covers more territory than what we saw in Tonga last year, so our time there could exceed the 4 months we spent there. We anticipate a 6-8 month length of service for at least two of our DR Fleet vessels, but we will operate until there is no longer a need or until operational funding runs out. For more information about Sea Mercy and our programs for the remote islands of the South Pacific or making a donation, please visit our website or email us directly.